Serenity now. 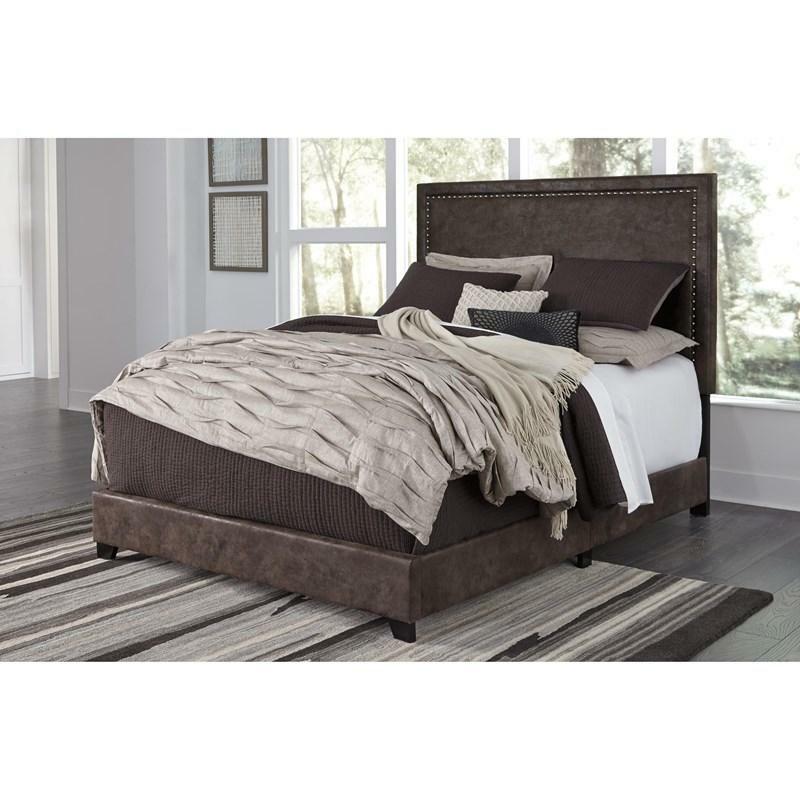 This Signature Design queen upholstered bed is sure to awaken a love for modern platform styling with a softer side. Plush to the touch and so easy on the eyes, a pale beige fabric hugs the bed—from the chic headboard with square button tufting, to the low footboard and side rails, emanating the calming mood you long for in the bedroom. • Rail to floor 3.00"
• Footboard panel 63.88" x 11.25" x 1.75"
• Headboard panel 66.00" x 4.00" x 60.75"
Volume 7.46 cu. ft. / 0.21 cu. 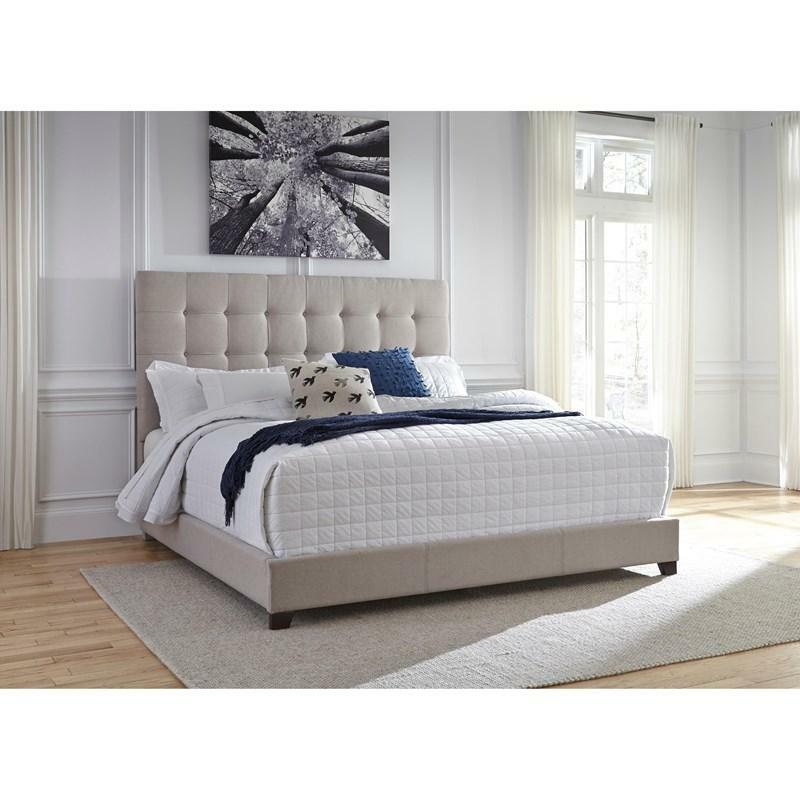 m.
Covered in a fabulous faux leather fabric inspired by bomber jackets, the Dolante queen upholstered bed is high style at a comfortably affordable price. String of goldtone nailhead trim adds a punch of character to bed’s clean-lined profile. 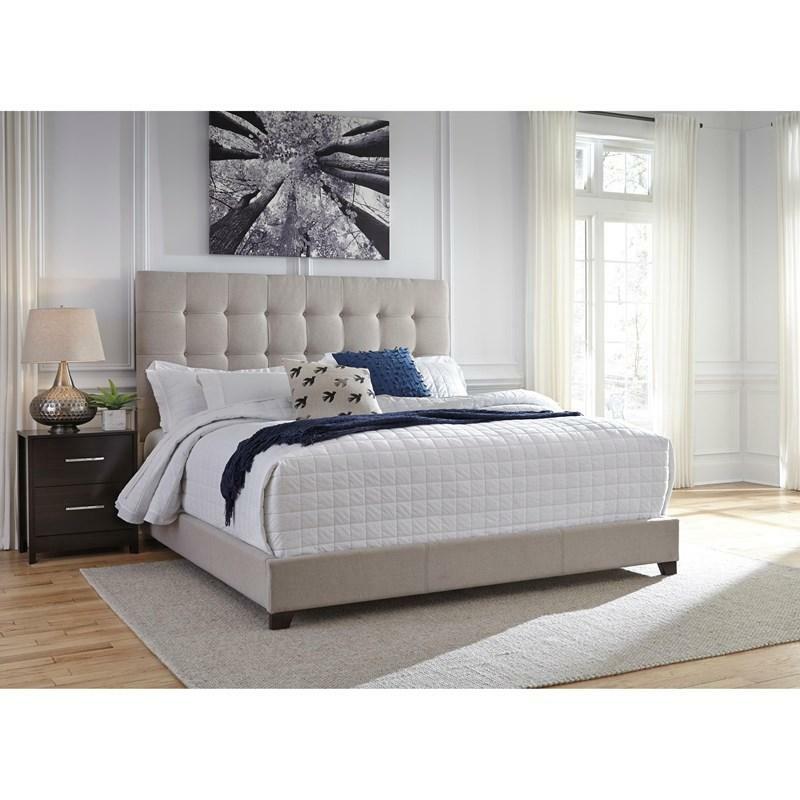 Covered in a fabulous faux leather fabric inspired by bomber jackets, the Dolante king upholstered bed is high style at a comfortably affordable price. String of goldtone nailhead trim adds a punch of character to bed’s clean-lined profile.